Sarah, a charismatic yoga teacher, used her extensive knowledge to heal herself through a very traumatic time. In each chapter, there are yoga poses, breathing exercises and meditations that can help in any challenging situation. The poses can be used together or individually. These practices are useful for any kind of healing - emotional or physical. 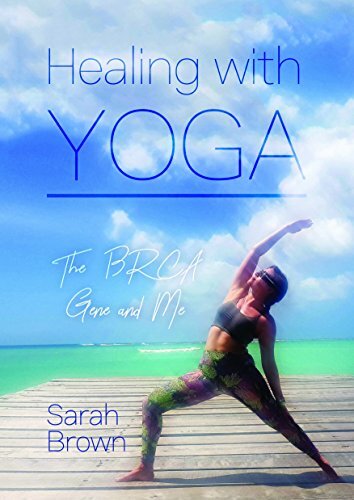 Healing With Yoga is also part memoir, from discovering she had inherited the mutated BRCA gene to her last risk reducing surgery and everything in-between. The mutated BRCA gene increases the risk of breast and ovarian cancer. This is the same faulty gene as the actress, Angelina Jolie. Written in a down to earth, witty style this book is an inspirational read. A story of courage, strength and a great determination to heal.